Can’t think of what to get someone? Then why not treat them to a whole new experience? 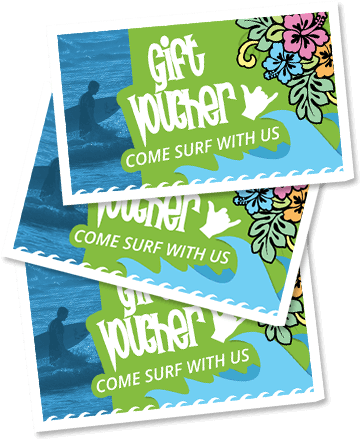 Surf Lesson Gift Vouchers are available for as little or as many lessons as you like. Contact us directly by phone or e-mail for purchasing or for more info. You can pay by cash, cheque, credit card or PayPal.